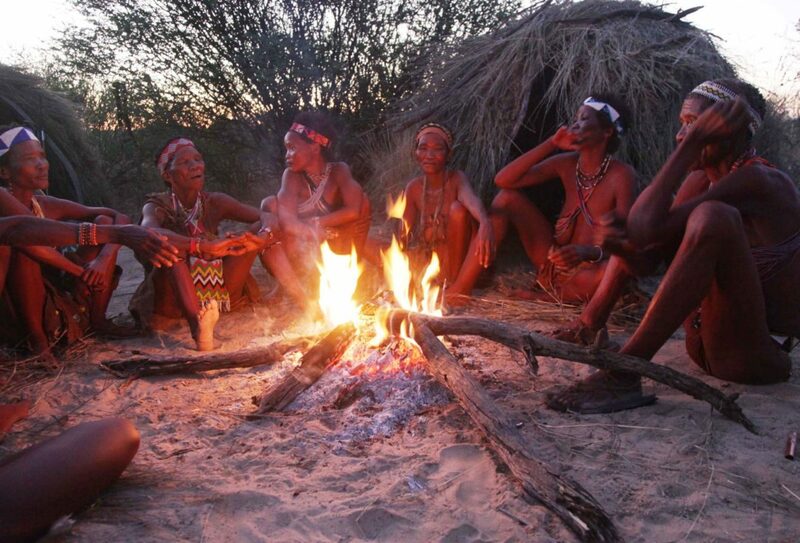 Stay in luxury tented accommodation for three nights (or more) at the awesome Meno-a-Kwena camp on the Boteti River, Makgadikgadi, and immerse yourself in many activities from game drives to bush walk cultural experiences with authentic San Bushmen. Also included is a one night sleep out under the stars on the saltpans in the dry season. 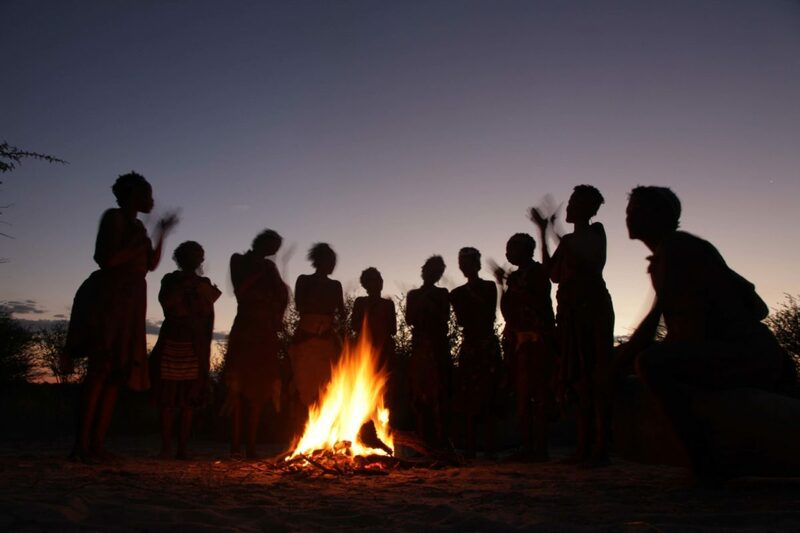 Individuals, couples or small groups are all welcome. 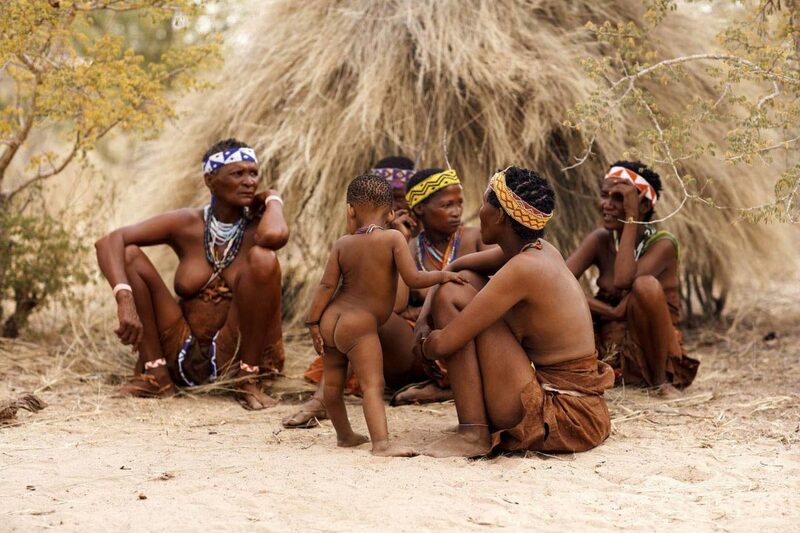 Travellers may be of any age. 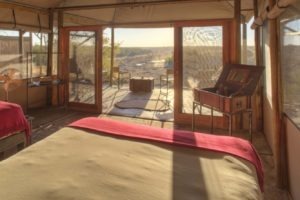 A maximum of 16 guests can be accommodated. 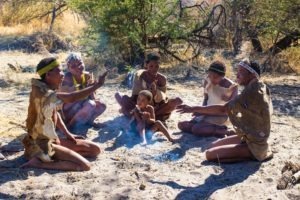 The camp is situated at a unique location and boasts a homely atmosphere with an outside cooking and dining area. 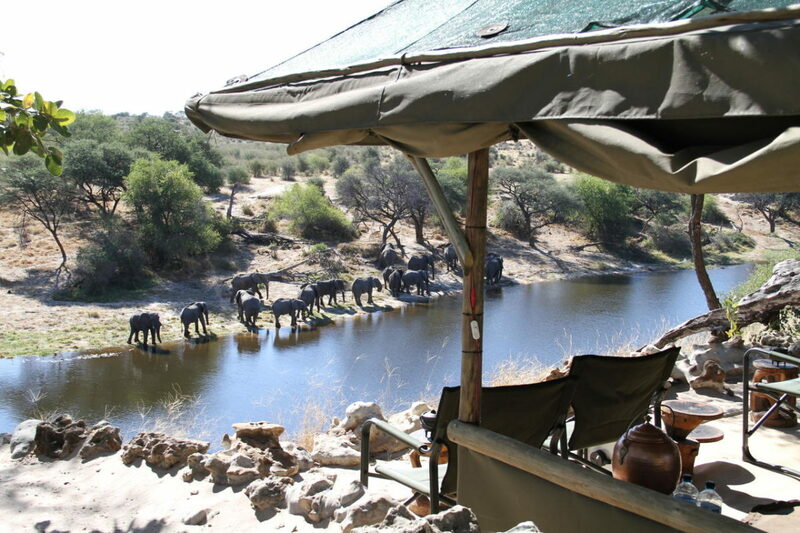 There are eight luxurious guest tents overlooking a river often flooded with elephants and other animals, so you can watch game without leaving your bedroom! 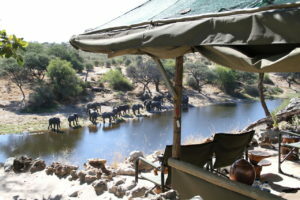 Each tent has its own ensuite bathroom. 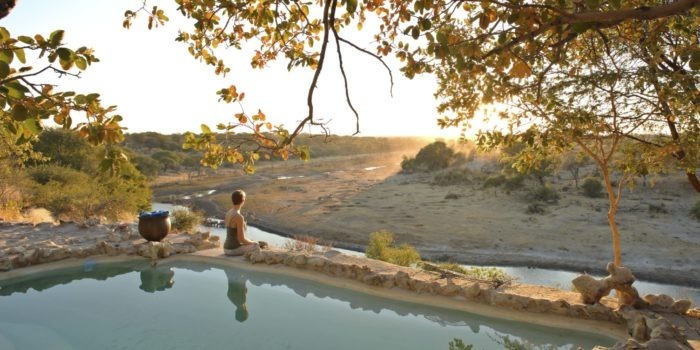 Southern Africa’s largest zebra and wildebeest migration concentrates at the river during the dry season (May to November). 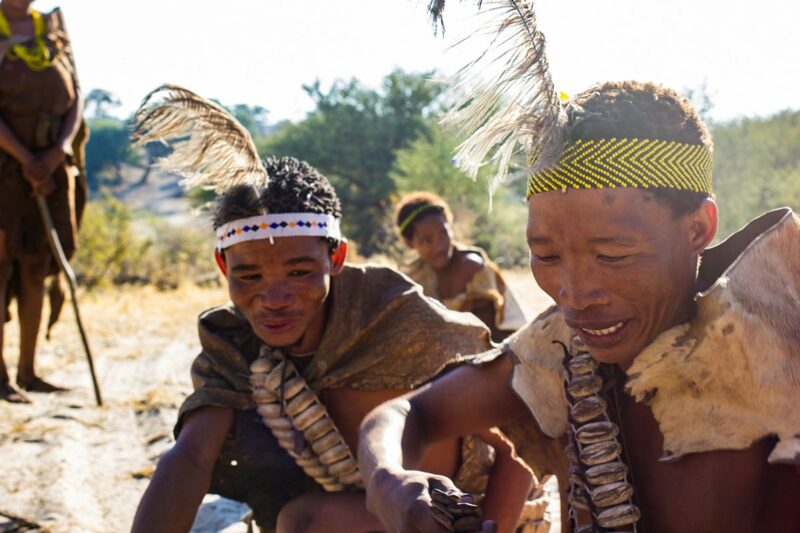 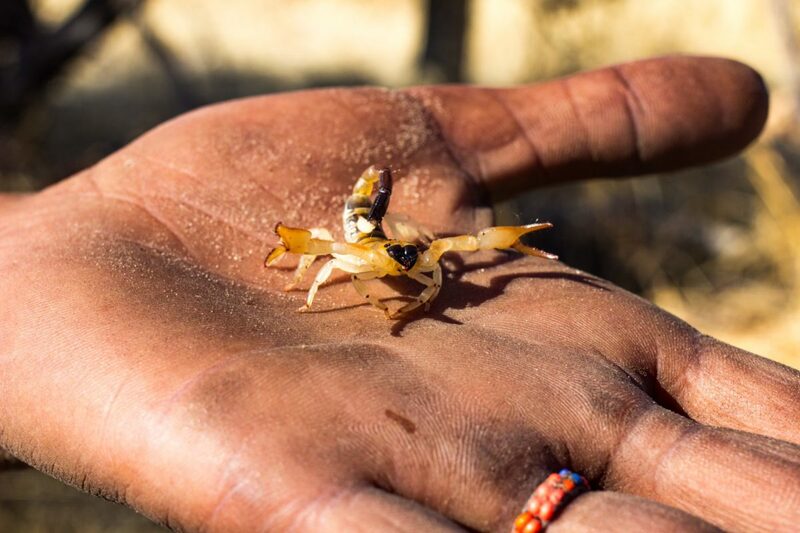 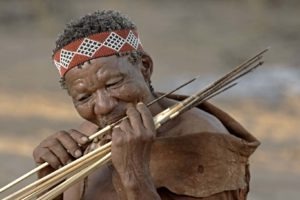 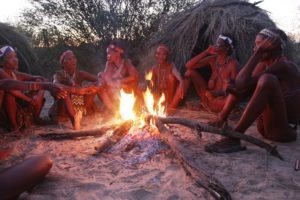 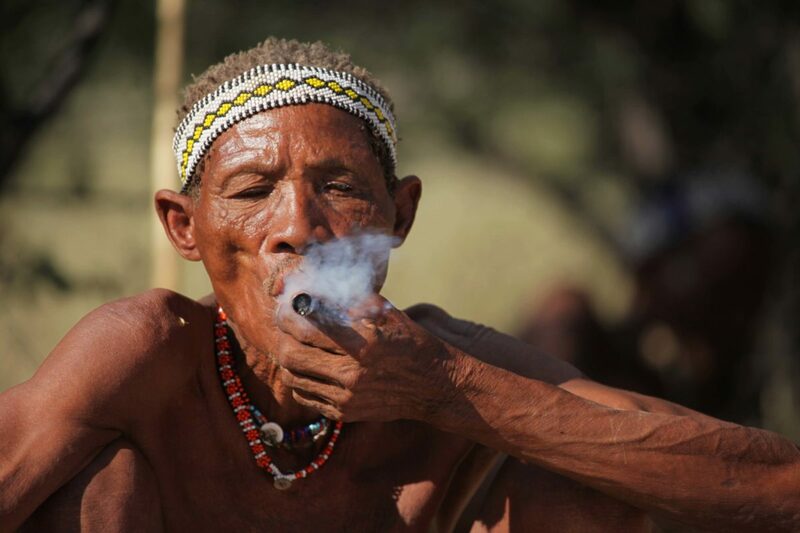 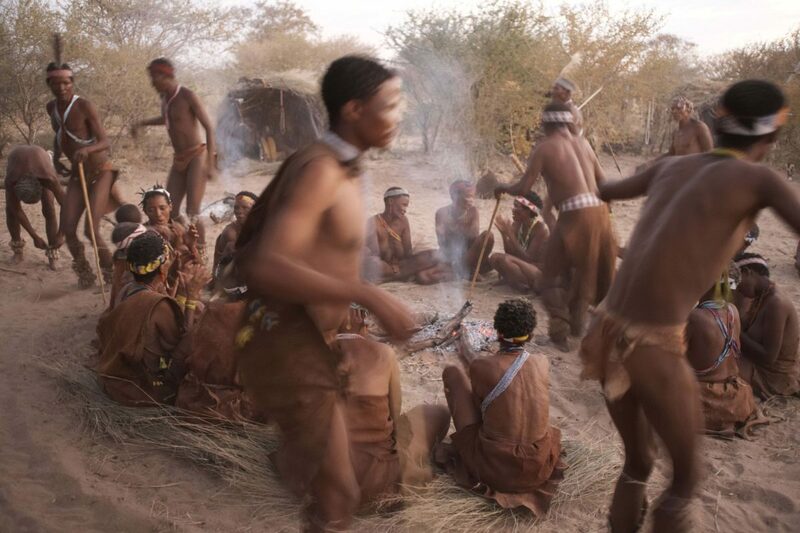 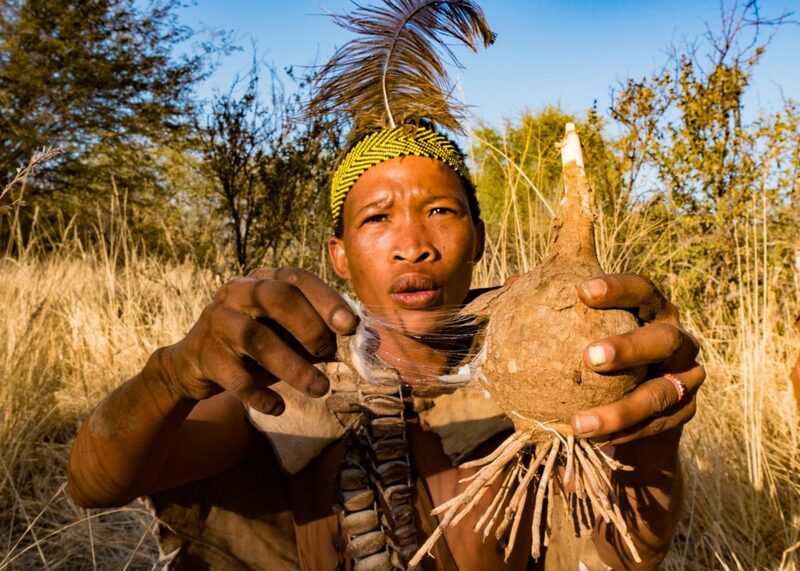 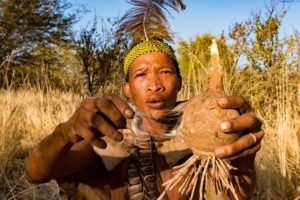 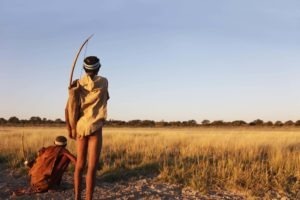 Learning the ways of the San Bushmen is the experience of a lifetime. 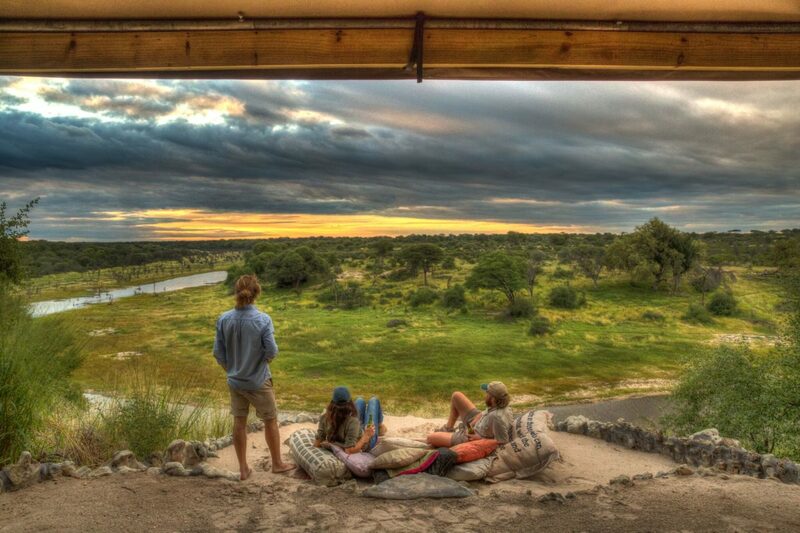 Sleeping under the stars on the saltpans is a MUST do. 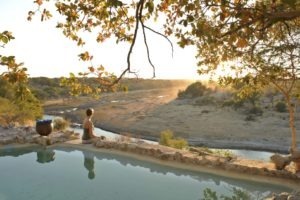 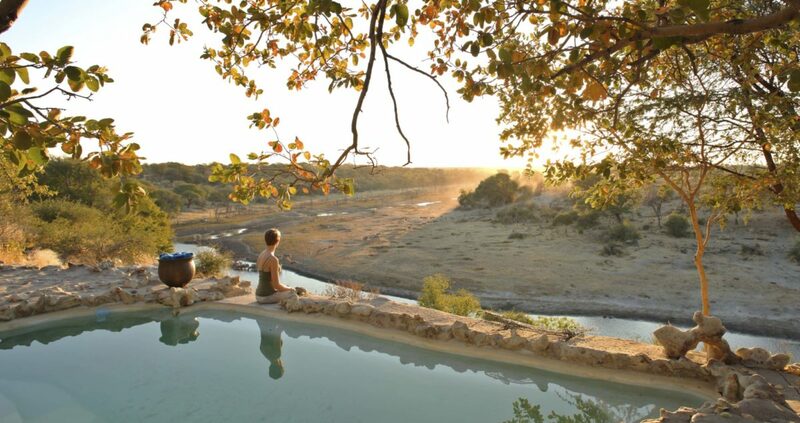 Midway between the Okavango Delta and the Central Kalahari Game Reserve lays Meno-a-Kwena. 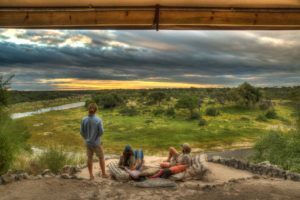 The camp is situated on tribal land overlooking the Makgadikgadi National Park and the scenic Boteti River, which has been flowing seasonally since 2008. 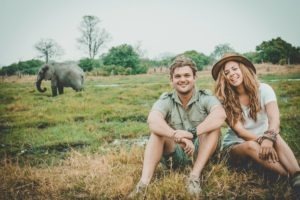 The fully inclusive daily rate starts from USD $445 per person, including transfers from and to Maun Airport. We additionally offer discounts for children. 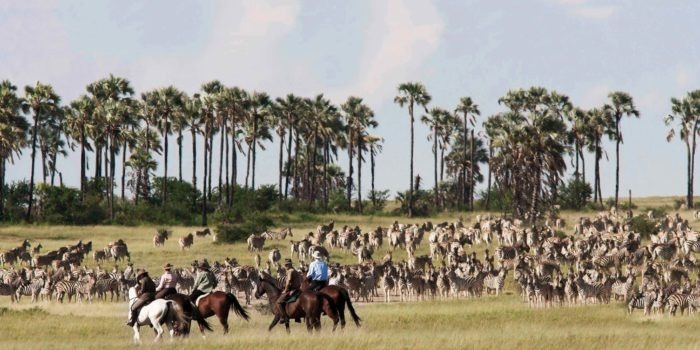 Meno is a good highlight to end your tour, so a visit can be combined with most components in the Okavango Delta.